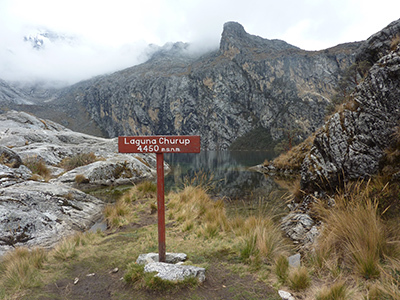 This hike is very accessible from Huaraz, and comes with public or private transportation to a small town called Pitec, the trailhead to the lake. This lake is one of the most beautiful lakes in the Cordillera Blanca and is known for its turquoise color. The road that takes you to the base of Nevado Churup is very nice, and the lake is nestled at the base of the peak. This hike is very good for acclimation, and can be done in 1 or 2 days.